Howlin' Wolf Records: SIX STRINGS: NYCC: WHEDONVERSE ENTERS TENTH SEASON! 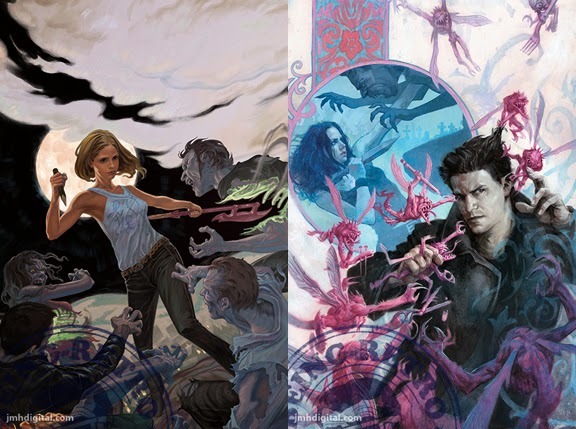 Buffy The Vampire Slayer and Angel & Faith Return in 2014! New York NY – Announced at New York Comic Con, Dark Horse is bringing the Whedonverse into it’s tenth season with the help of fan favorite authors, Christos Gage and Victor Gischler.